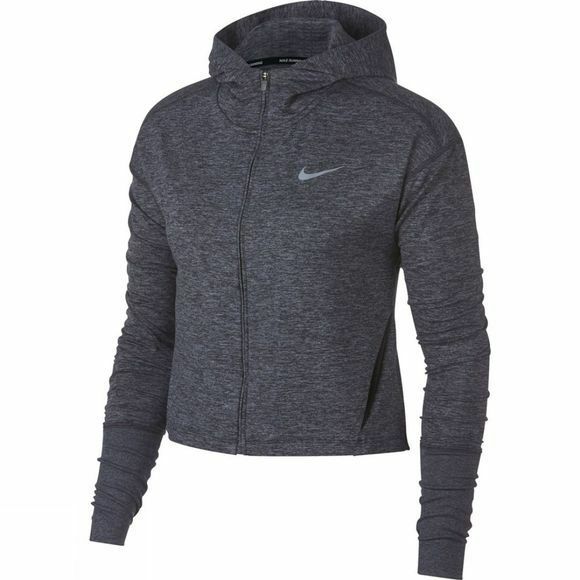 Nike Women's Running Hoodie has you covered in versatile, sweat-wicking comfort. Its extended collar adds warmth around your neck, while thumbholes secure the sleeves so you can run in distraction-free comfort. Thumbholes help keep the sleeves in place. Hand pockets keep your essentials close at hand. 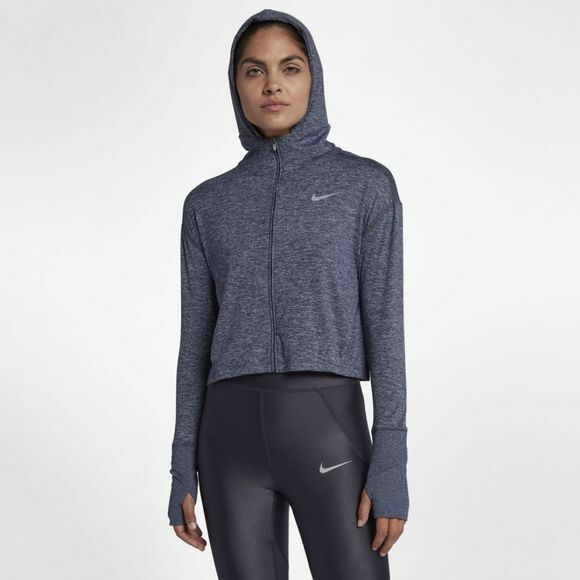 Cropped hem hits at the top of the waistband of Nike Running tights.